Hope you are all well! My family and I are wishing all those celebrating Chanukah a very happy one. 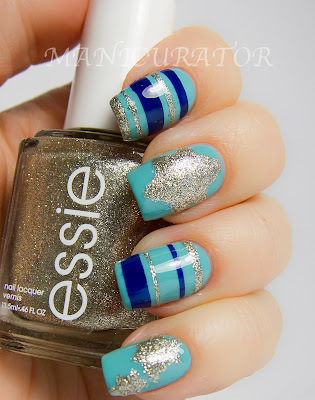 Here's my Digit-al Dozen's Holiday week mani dedicated to Chanukah. 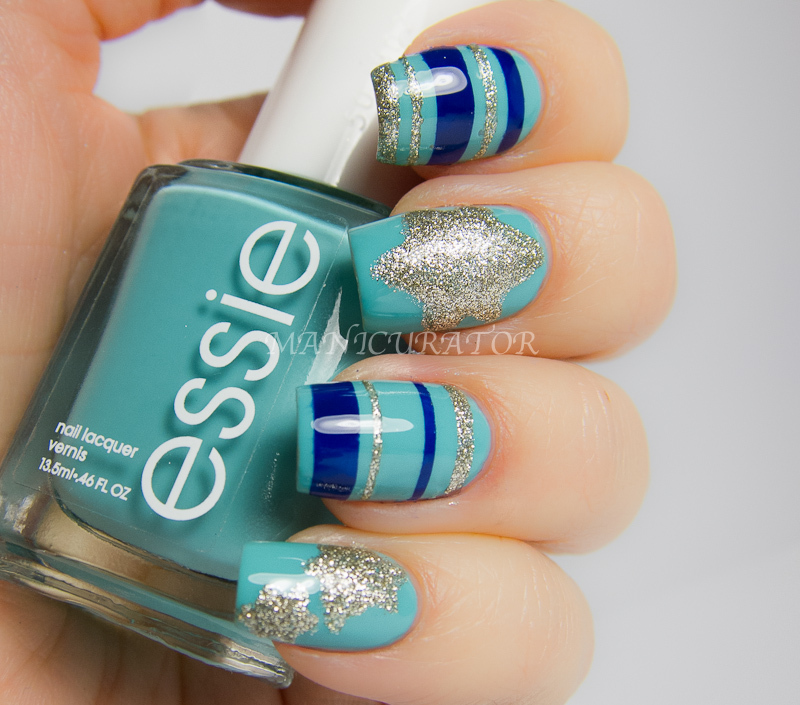 Let me tell you...nail art with Essie Beyond Cozy is not easy. It's a dense silver glitter..that dries very quickly..so it was difficult to work with. I do like the final result, though the stars are not my favorites. 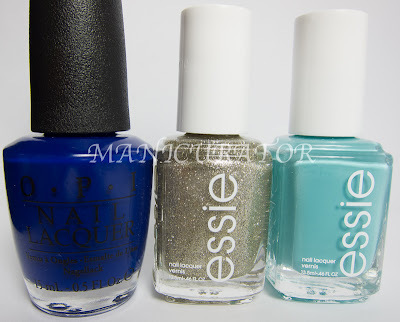 I'm thrilled to have these 2 Essie's they were gifted to me from one of the wonderful women from my Birthday group. Thank You! 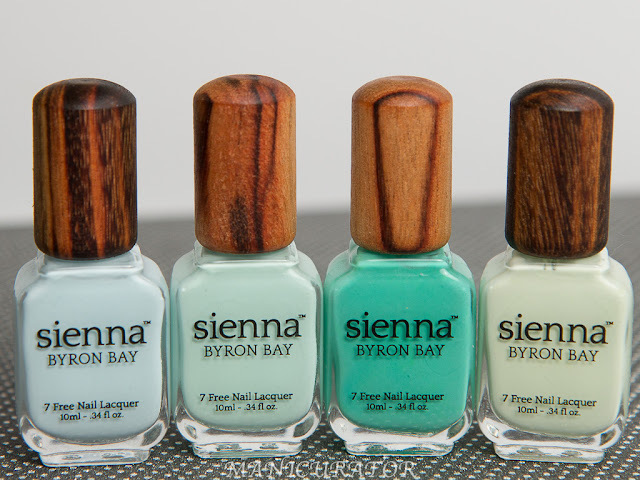 <3 And the OPI? 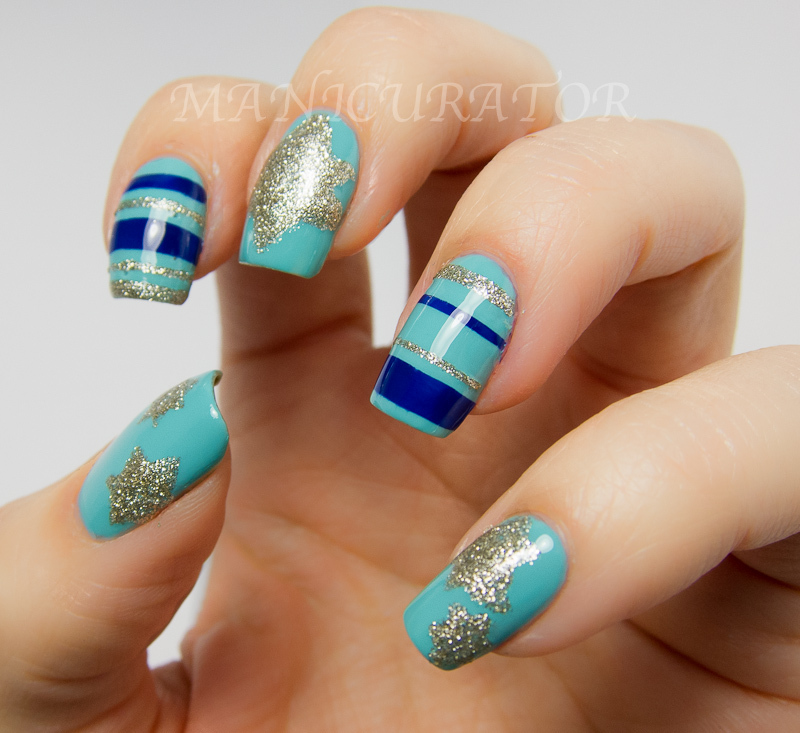 It's one of the 3 blues I got my hands on early from the Spring 2013 collection - Euro Centrale, see the swatches here! OPI...Eurso Euro, Essie Beyond Cozy, Essie Where's My Chauffeur? I started with 2 coats of Where's My Chauffeur (no problems with application!) and let dry. then I free handed the Star of Davids, and like I mentioned..a fast drying glittery polish is not the best choice for this, but we went with it :P I used striping tape and painted on the OPI and Essie glitter on the other fingers and I love how they turned out. I was actually copying the wrapping paper my sister used and I would have showed you...but uh...my kids destroyed it. hehehe. I have a mangled star here and there, otherwise, I think this was a cute one. What do you think? And, I'll leave you with swatches of Essie Where's My Chauffeur, because, well, it's beautiful. Have a great night everyone. Hug and kiss the ones you love, call them if they aren't nearby. I got heartbreaking news today about my best friend's mom...and well...it's just making me sad and mushy. I love this design! I love Where's My Chauffeur. I'm such a sucker for robin egg/Tiffany's blues. I have like 5 of them. OMG!!! This mani is so gorgeous! Love it! Love the color combos and the design. I find it so elegant and classy. Great job on this! 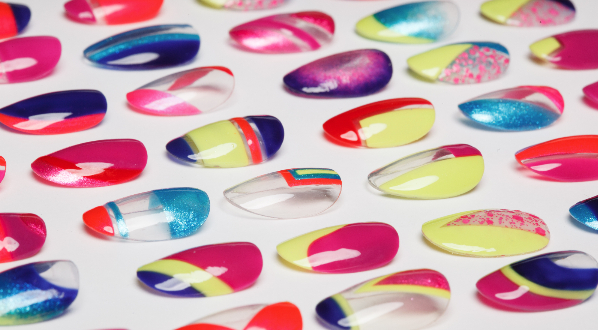 This is a great mani! The stripes are so bold and contrasting to the light base - it's amazing! Wow, this mani is so pretty! 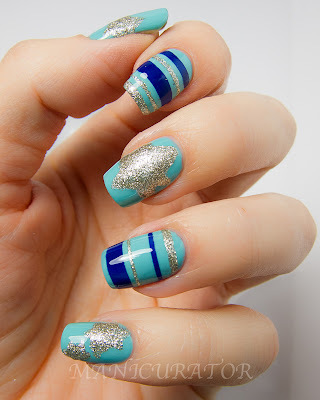 The striped nails are absolutely my favorite, love the combo between cremes and foil, going on my nailspiration board! This is just gorgeous! What an amazing pair of blues! It looks just awesome with Beyond Cozy!! victoria these are soooo pretty. i also have no idea what you are talking about with this "mangled star" nonsense. they look perfect to me! i feel your pain with the fast-drying glitter for doing nail art, haha! definitely not the easiest option but it's so pretty!